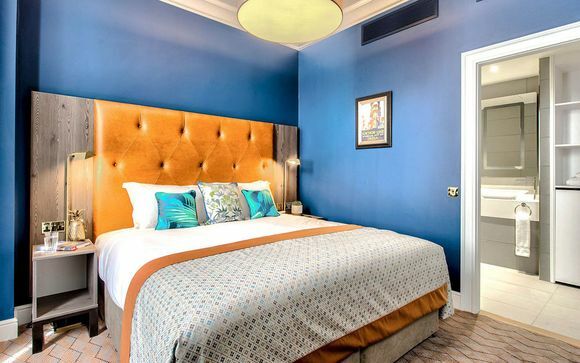 Stays in Glasgow up to -70% off To take advantage of these offers, join now for free! Planning a break in the United Kingdom? 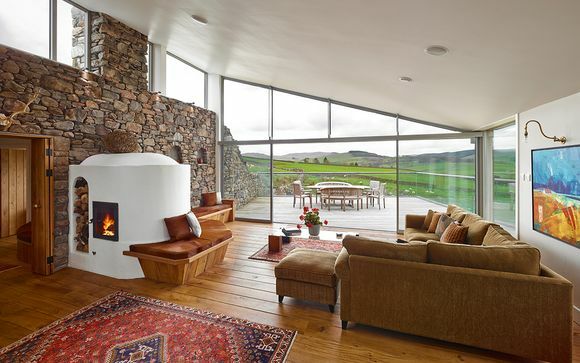 Find inspiration and search our handpicked offers for luxurious getaways to Glasgow. The third biggest city in the UK, after London and Birmingham, Glasgow hasn’t always enjoyed such a glowing reputation. However, the former shipbuilding hub has been revitalised over the past couple of decades, being named European Capital of Culture in 1990 and winning the right to host the Commonwealth Games in 2014. 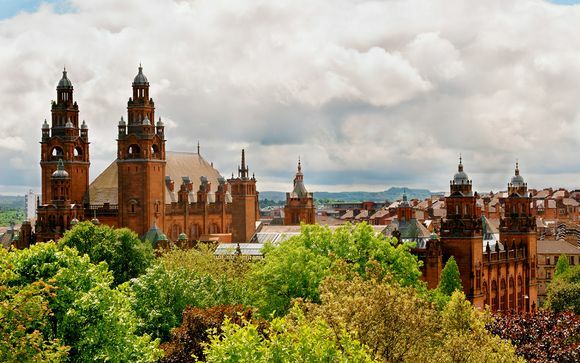 Glasgow is now a vibrant, friendly metropolis, boasting plenty of places of interest for you to visit during your stay. 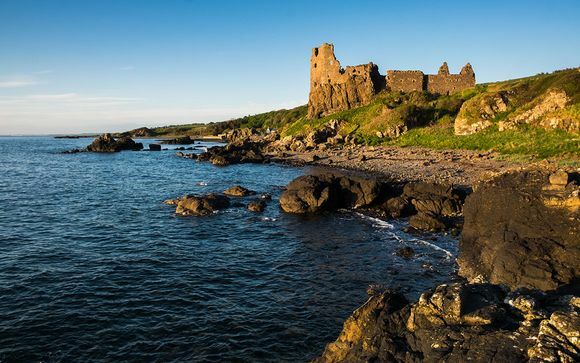 Sample the thriving Scottish arts scene, glory at the architectural masterpieces of the legendary Charles Rennie Mackintosh and, of course, experience everything that surrounds the greatest football rivalry in the world: Celtic versus Rangers. 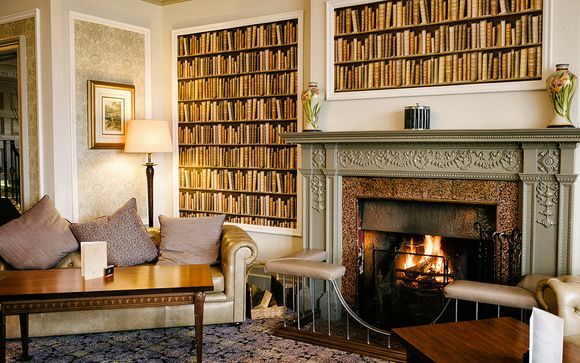 Everything that Glasgow has to offer is just waiting to be discovered, so take a look at our selection of getaways today! All good breaks in Glasgow will showcase the magnificent architecture housed in Scotland’s second city. 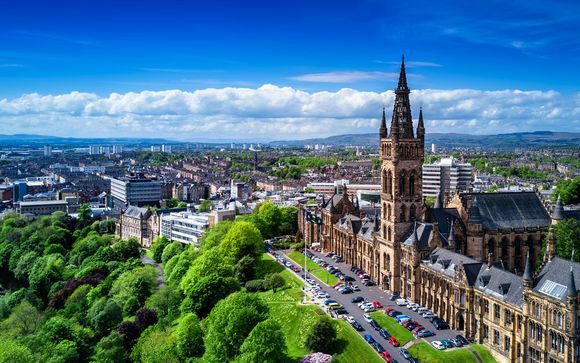 Glasgow might not have a castle to rival that of Edinburgh, but the cathedral, and the buildings that comprise the University of Glasgow – the fourth oldest English-speaking learning institution in the world – are grandiose enough to impress all but the most stubborn of visitors. The city also boasts buildings by renowned architects, including the aforementioned Mackintosh, who built the Lighthouse and Queen’s Cross Church, and Archibald Leitch, the football stadium architect who contributed to the famous red brick façade of Ibrox Stadium, home of Rangers Football Club. The centre of Glasgow offers plenty of attractions for you to enjoy during your stay. The so-called ‘Style Mile’ contains hundreds of boutique and high-end stores containing the latest in fashion, while the West End is more of a bohemian area, where you can purchase some unique wares to show off when you get home. In terms of arts, the city hosts regular festivals throughout the year. Depending on when you’re planning to take advantage of our handpicked offers, you could be laughing along during March’s International Comedy Festival, marvelling at June’s spectacular West End Festival or revelling in the festive celebrations of December’s Glasgow Loves Christmas bonanza. The Necropolis, a massive Victorian cemetery, might be a sombre place, but it makes for a great walk, and offers unmatched views over the city.